Thank you to all 250 of you who attended Bike Walk Connecticut's Annual Dinner and Silent Auction for 2014, our most successful yet, raising over $10,000. We sold out weeks in advance -- a real testament to the growing strength of Connecticut's bike/ped community. 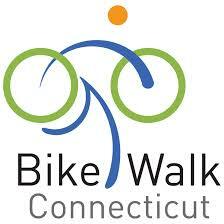 Net proceeds of the event benefit Bike Walk Connecticut. This year's featured speaker was Dan Haar, Hartford Courant Columnist, cyclist and walker who told us about his 106 mile walk across Connecticut on Route 44 to celebrate the Courant's 250th anniversary. We also honored Senator Beth Bye, 5th District, and Representative Roland Lemar, 96th District, for their leadership during our five-year effort to pass the Vulnerable User Law. As our membership grows, we hope to hasten the pace of progress of future initiatives. Enjoy these photos by Simone leCoutre and Jim Nally. ﻿And Hats Off to Our Fabulous Volunteers!